NEENAH, Wis. — The American Red Cross helped drivers and passengers involved in the major pileup on I-41 Sunday. 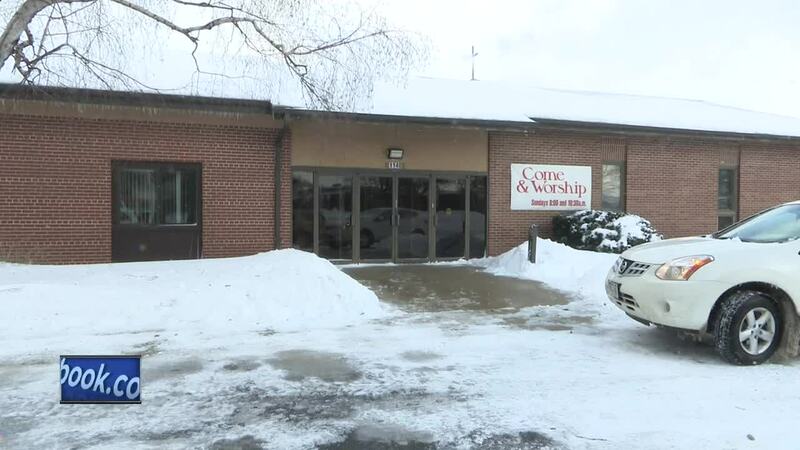 They opened a warming center at Gloria Dei Lutheran Church in Neenah where they provided food and blankets while nearly two dozen people tried to reconnect with their loved ones. Riann Pargeter and her mom were visiting from Anchorage for the weekend. They were at the church after being transported from the scene to the fire department, then, to the church. "Just the noise was unexplainable, it, just like a movie, it doesn't happen in real life," said Pargeter. She said their car was not damaged, and they welcomed others involved in the crash into their car to stay warm while waiting for help. "Now you just like know you're just sitting there in the middle of this like how? And we couldn't go anywhere because we're right up against the cement block for the side and where we we going to go?" said Pargeter. Many drivers and passengers at the church made calls to their loved ones and waited to be picked up. "When you're in a traumatic experience, you need somebody to hold onto. You need folks that care to work through those traumatizing times," said Michele Maki with the American Red Cross. Maki used the word "quiet" to to describe the room when the people were waiting, many still in shock. "You could just feel the concern that folks had, and a lot of care. It's kind of hard to put into words," said Maki. People like Pargeter just trying to cope with this tough day. "Tell your family you love them. It's not, it wasn't easy. It's hard. It's scary," said Pargeter.